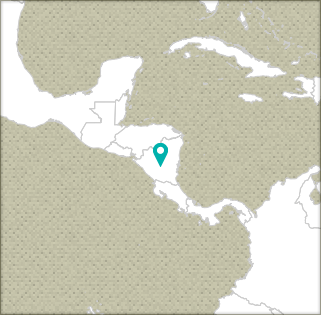 Although Nicaragua is the second poorest country in the Western Hemisphere, its geography and natural resources are favorable for accessing both regional and international markets. The country’s growing economy is based largely in agriculture and tourism, with the financial industry starting to take root. Since 1976, TechnoServe has been helping smallholder farmers and entrepreneurs in Nicaragua access formal markets, improve product quality, manage businesses, boost profits and become competitive. TechnoServe also works with entrepreneurs across various industries, providing business training, advice and support through several entrepreneurship development programs. Impulsa Tu Empresa aims to help small and growing businesses boost their growth through mentoring and training. Since its launch in 2012, the program business has increased the sales of over 1,400 businesses by $48 million and generated 1,600 new jobs in Guatemala, Honduras, El Salvador, Nicaragua, and Burkina Faso. 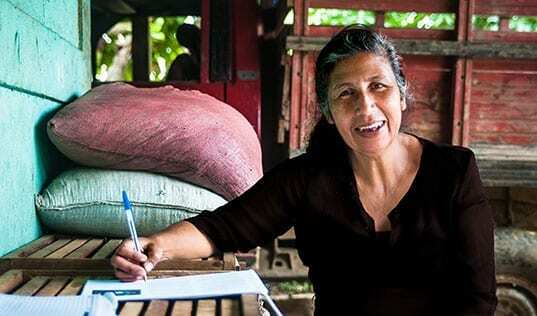 Coffee is one of the most important economic activities for rural families in many parts of Central America. The Better Coffee Harvest (Cosechemos Mas Cafe) project is a four-year initiative funded by the U.S. Agency for International Development, the J.M. Smucker Company and the PIMCO Foundation to reduce poverty and increase farm sales for coffee farmers in El Salvador and Nicaragua. The project seeks to train 6,000 smallholders to improve productivity, quality, farm management, and financial literacy; increase farm revenues by 25 percent; and build the capacity of local organizations such as cooperatives, exporters and trade associations to boost long-term productivity and facilitate financing. Since launching in 2014, the project has trained more than 7,570 farmers – 27 percent of whom are women – and established 128 coffee demonstration plots to be used for training purposes. TechnoServe is implementing a two-year initiative that targets women in women’s business groups (WBGs) who are currently working in value addition or commercialization. The program combines one-on-one business consulting with linkage to finance, markets and technical expertise to provide the women with the skills, assets and social capital they need to reach their full potential as economic actors and leaders. WGBs also participate in financial literacy and leadership training, team-building exercises and network building. The approach is expected to improve the participants’ economic success, social position and household bargaining power. To date, 903 women have participated in the trainings, and the program has helped 25 WBGs generate more than $196,000 in incremental revenue. Lessons learned from TechnoServe's work with SGBs in Central America, based on research conducted by Emory University and the Impulsa Tu Empresa program. How the Ganaderia Empresarial (GANE) project transformed Nicaragua's livestock sector and worked with smallholder farmers to increase their productivity, quality and market access.